Disney Princesses Meet "The King"
I thought this was cute and thought I'd share it with you. This is what Emma was playing with this morning. 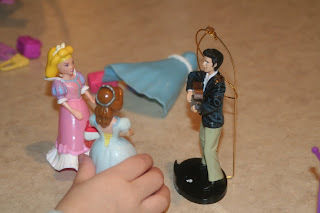 She got the Elvis ornament off the Christmas tree and was using him as the prince.